PoE cameras are the easiest wired security type for outdoor use. So, if you want a hassle-free wire system or your house is already equipped with Ethernet cables, then outdoor PoE cameras would be the ideal pick. However, with a variety of options available out there, it is quite challenging to find the one that caters to your needs as there is no comprehensive guide available. Based on its shape, the cameras available are a dome, bullet, and PTZ. With extensive research and testing, we’ve shortlisted 4 outdoor PoE cameras in the different categories including 4MP camera, 8MP camera, affordable and best dome camera. 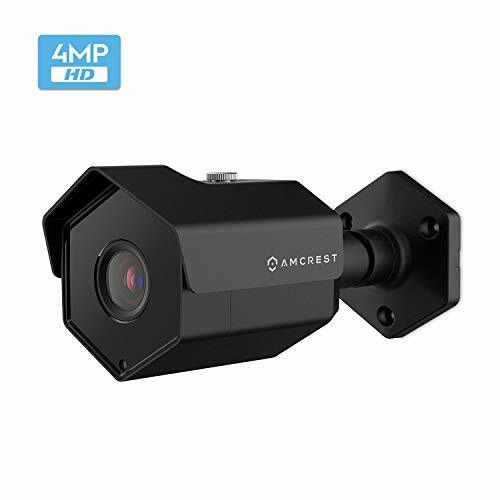 The camera that topped our Best 4MP outdoor camera is Amcrest ProHD Outdoor 4 Megapixel POE Bullet IP Security Camera IP4M-1026E. With a remarkable field of view with 118-degree viewing angle, this camera delivers superior HD 4MP resolution at 30fps. Moreover, the camera is great value for money. 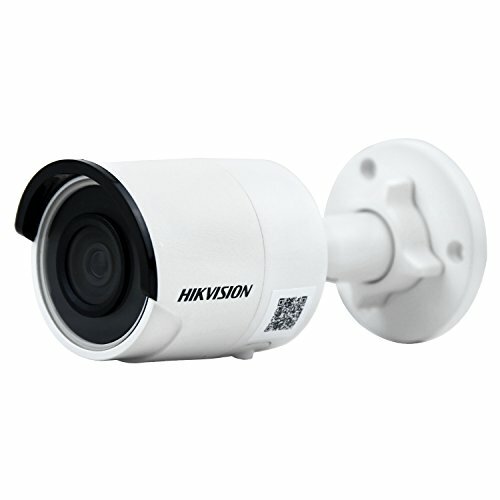 If you want an 8MP PoE outdoor camera, you can consider HIKVISION DS-2CD2085FWD-I as this camera offers amazing video quality and has 3D digital noise reduction functionality. If you’re looking for a camera on an affordable side, SV3C SV-B06POE-4MP-A is for you. With an amazing 4MP resolution, this waterproof camera covers a wide angle of 70-90 degree and offers night vision coverage of up to 20 meters. 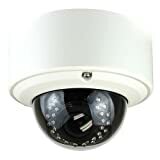 Furthermore, as you know, Dome cameras are quite popular these, we’ve picked GW Security GW5071 2592 x 1920 Pixel H.265 HD 1920P Outdoor Indoor PoE Power Over Ethernet 1080P Security IP Camera if you want a dome outdoor PoE camera. This camera delivers a 5 MP with 2592x1920 Super High-Resolution Videos and allows you to adjust the angle of view from 22 – 115 degree. What Is Outdoor PoE Camera? Why Are The Advantages Of Using PoE For Outdoor Security Cameras? What Are The Various Types Of Outdoor Camera PoE? 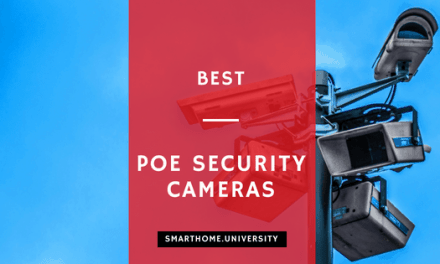 What to Consider When Buying PoE Outdoor Security Cameras? Power over Ethernet (PoE) camera is the camera that gets power and transmits videos through a single Ethernet cable without the need of extra power cable. These cameras are easy to set up with minimal wiring hassles. The main purpose of PoE cctv camera system is to provide you a piece of mind for the security of your backyard, garden or any other outdoor space. To operate the PoE camera, you just need to connect the camera to the router with a PoE cable. Usually, PoE injector or the switch is used to connect a PoE camera to a non-PoE router for network connection and power. They have a strong and reliable internet connection. The fast internet connection improves the performance. PoE cameras offer exceptional video quality and streaming. These security cameras are less prone to network interference. The cameras boast a plug-and-play feature that easy to setup and use. Bullet cameras have a shape of a rifle bullet. These are usually small and ranges from 2 inches to 8 inches. The smaller bullet cameras are often referred to as lipstick cameras. A bullet camera has a variable or fixed focal length lens and has a strong point for specific spaces. The bullet cameras can be installed on the walls of the front door, off-street windows, backyards, etc. These cameras have a dome shape, hence the name dome. Dome cameras can be used for both indoor and outdoor purposes. These are usually mounted under the soffit or the eaves and on the ceiling. 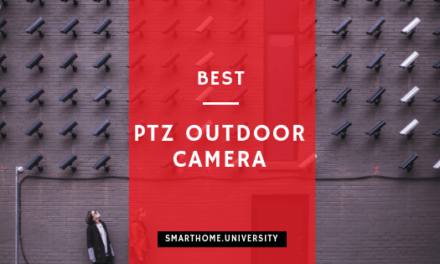 PTZ camera has the ability to pan right and left, tilt up and down, and zoom in and out. 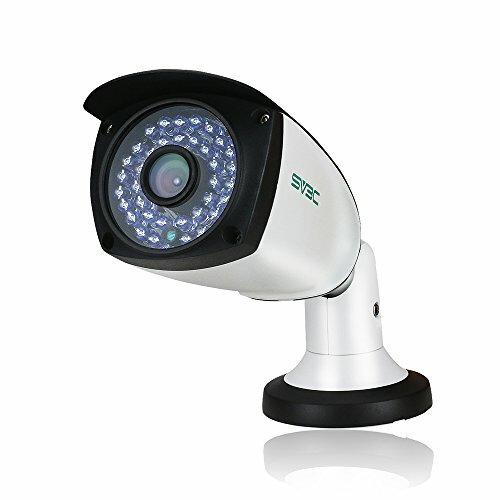 Because of its larger size and super high resolution, PTZ cameras are ideal for outdoor use. PTZ cameras are perfect for installing on the second floor outdoors, construction sites, and other large areas for a wide view. The turret cameras are similar to dome cameras, but they don’t have a cover on them. These cameras are a popular choice as they boast the features of both dome and bullet. Basically, it is a ball in the socket that has a full range of motion. Moreover, it is easy to install than a dome camera. Resolution: The first thing you should see in a camera is its ability to produce high-quality images. For instance, 4MP cameras can provide sharp and super clear images, such as the appearance of a stranger and license plate numbers. Depending on the area you want to cover with your camera you can consider higher resolution cameras. Zoom: Security cameras usually have 2 types of zoom – Optical zoom and Digital zoom. Optical zoom security cameras use moving parts of a focal lens to view objects in more detail. This means you can zoom in to get rich image details without a degraded image. Digital zoom security cameras, on the other hand, reduce the apparent viewing angle of images and then trim areas outside the margins. Lenses: There are two types of lenses, which are the fixed lens and a varifocal lens. A fixed lens has a constant focal length, and focal length, level of zoom or angle of view can’t be adjusted. The varifocal lens has a variable focal length that can be adjusted as per the need. Compression: Compression is used to eliminate redundant data from footage transmitted to your VCR, thus saving space. MJPEG and H.264 are two of the most commonly used compression techniques for high definition video. You can also use MPEG4, but the quality tends to be lower than the other two techniques. You can select compression method according to your needs, but more advanced standard would usually mean less storage required for your historic feeds. Brand: You should always pick the security camera from reliable and top-rated brands. Consider checking the user reviews and customer benefits such as money back guarantee, warranty, support policies etc. Viewing angle: The wide viewing angle of the camera helps in covering a large area and reduces blind spots as well. ONVIF: ONVIF is the main standard for NVRs and IP-based cameras. Generally, if the camera is ONVIF compatible, it will be able to communicate with an NVR that is also ONVIF compliant. This means that you are certain to get a video output from each camera to the NVR. But in many cases, all the features of the camera will not be available directly via the NVR. On-device storage: The storage space of a PoE camera system is also important if you want to record 24 /7 or monitor large outdoor and indoor areas. 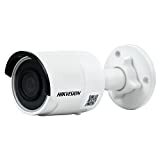 With functionalities like motion alerts, email alerts and night vision, Amcrest ProHD Outdoor 4 Megapixel POE Bullet IP Security Camera is the best camera offering 4MP superior HD resolution. The camera is equipped with an intelligent digital zoom lens that lets you experience close details. Moreover, it features the latest Sony sensor along with Ambarella chipset, which delivers striking superior HD 4-megapixel at 30FPS videos. The camera has an IP67 rating that protects it from most weather effects. Be it rain or the sunlight; it can undergo extreme weather conditions. Besides, it is encased in an airtight heavy-duty metal housing to keep out water, dust and air. The camera features IR LEDs that are designed to provide coverage up to 98 feet in the dark and ultra-low light. 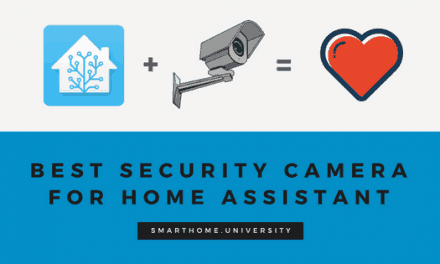 The camera is equipped with a 118-degree viewing angle that adds an extra level of security to your house. With intelligent alerts like motion alerts and email alerts/snapshots, you can get alert notifications to your smart device or computer using the Amcrest view app. The footages can be stored on your computer, NAS, MicroSD or Amcrest cloud. Also, the intuitive interface lets you live-stream the video that enables you to play it back according to your needs. Furthermore, the camera comes with a 1-year warranty. However, the camera requires a separate PoE switch or PoE injector to operate. This camera is a great option if you’re looking for awesome picture quality with genuine pricing. With a range of features, this camera will be perfect if you want a functional device for your home. How Much Heat Can This Camera Withstand? The camera’s heat tolerances are -10 Degrees C – +50 Degrees C (14 Degrees F – 122 Degrees F). Will This Camera Work With Amcrest NCR Or Any NVR? It can work with any NVR. Does The Camera Have A Slot SD Card? Does This Camera Include A Microphone/Audio Stream? No, it doesn’t have a microphone/audio stream. To log in for the first time, you need to use the following default username and password. With 1/2.5 Inch Color CMOS Sensor, the camera delivers fabulous 8MP videos. The H.265 compressions of technology compress the files without any difference in the video quality and thereby saving a lot of storage space. The camera is equipped with an IP67 rating that protects it from the extreme weather conditions. The camera features IR LEDs to provide coverage up to 30 meters at night. With plug and play installation, the camera is quite easy to install, and the motion detection features allow you to have a customized control over what you’re monitoring. The camera also features 3D digital noise reduction, which seems to be a positive point of this camera and most of the cameras lack this feature. 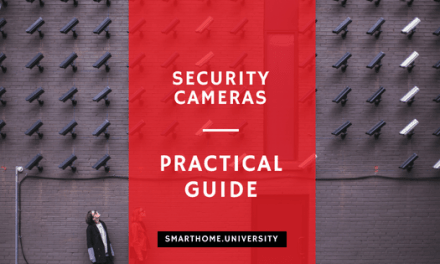 The device has some amazing features including intrusion detection, line crossing detection, face detection, object removal detection, and unattended baggage detection, which makes this camera the best in its category. Among all the other cameras, this camera offers the most amazing 8MP video quality. However, the camera is a bit on the expensive side. To activate the camera, you need to set a strong password. The camera supports activation via SADP, activation via Web Browser and Activation via Client Software. Power on the camera and connect it to your computer or the router/switch which your computer connects to. Then, you need to enter the IP address into the address bar of the web browser. Press ENTER to enter the activation interface. The default IP address is 192.168.1.64. Do these require an NVR/DVR to work? “Excellent picture. Digital zoom is clear.” – Jennifer S.
The camera is a combination of great features and a sturdy build. With super HD 4MP resolution, the camera delivers awesome picture and video quality. 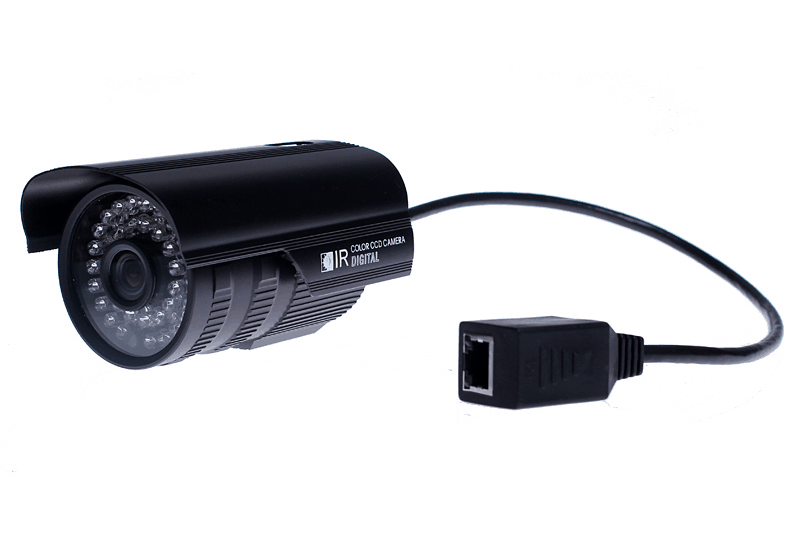 The camera has 36pcs IR LEDs that offer great night vision covering a distance of 20meters. With a wide angle of view up to 70-90 degree along with 4mm fixed lens, this camera covers a wide area. The camera is equipped with H.265 compression to promote highly efficient video recording that saves storage space and provides smooth video output. With smart motion detection alarm, you can get motion alerts via the app. Furthermore, the device is IP66 waterproof and ONVIF compatible that can afford a temperature of -20C ~60C. Also, SV3C offers 24/7 hours customer service and 1-year warranty on the camera. Among other options, SV3C is the most affordable and is a good value for money. Is The Camera Compatible With Blue Iris? Yes, the camera is compatible with Blue Iris. Does The Camera Have A Reset Button? No, this camera doesn’t have a reset button. The Camera is equipped with the advanced 1920P high resolution and the latest 1/3 “5.0 megapixel CMOS image sensor that provides the best image quality in both day and night with a resolution of up to 2592 x 1920. This camera can record in 1536p real-time resolution of 1080 images at 30 frames per second, for smooth and clear playback of recorded video. Moreover, the even higher definition of 5MP offers more viewing pixels recorded in near real-time 15 frames per second for incredible detail and superior face recognition. The 2.8 ~ 12mm manual zoom lens varifocal lens allows you to adjust the angle of view to meet your needs. 30Pcs Light Emitting Diode Infrared Lighting night-time video recording up to 80Ft is clean and simple with a single cable. With plug and play design, the camera is easy to install and setup. With waterproof and vandal resistant housing, this dome camera is suitable for most indoor and outdoor installations. Among other cameras, this offers 5MP high-resolution videos and offers great coverage for night time recording. Will This Camera Work With Amcrest NVR And Its Software? Yes, this camera will work with Amcrest NVR by using the RTSP path or ONVIF protocol. Can This Camera Be Wall Mounted Looking Straight Out? Does The Camera Come With A Cable?